The core builders are the heart of the ecosystem. They create a new Digital Customer Experience . The founders and employees of start-ups build this new value chain. They are the ecosystem members who utilise the new technologies to meet business needs, solve problems, improve or change people’s lives. The core builders design their product and services using the new technology for a digital customer experience fitting a new paradigm. They look at the customer need ignoring legal constraints and legacy to design the best response. Existing intermediaries are very often the first to be removed from the value chain when they do not add direct value or spoil the digital customer experience. This phenomenon is often called disintermediation. Technology holds this ability to bypass geographical borders as well as scale large, the disintermediation can attack long established institutions. Crypto-currencies, online payments, fin-tech in general are a good illustration of an emerging sub-ecosystem challenging the banking system overall. 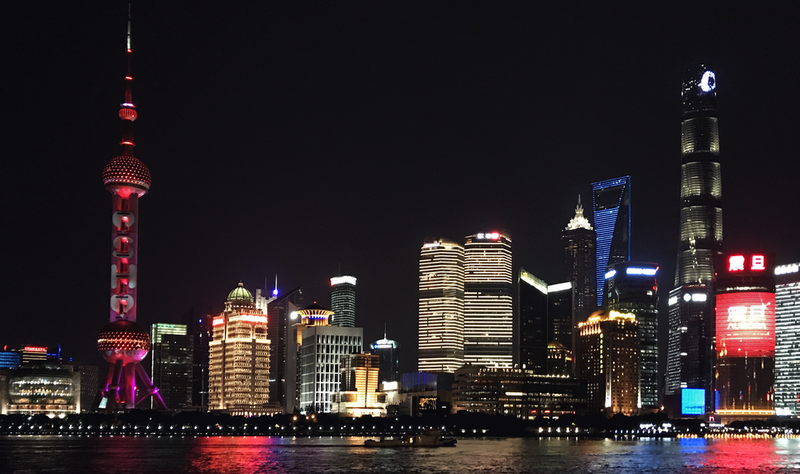 During my recent Shanghai trip I realized how WeChat rendered the widely adopted credit card obsolete whereas credit card usage is still on the rise in Europe and USA driven by ecommerce on-line payment. Over the years, the core builders have been transforming the world as we know it. I have identified three main methods. I have picked examples to illustrate how the various core builders enrich the ecosystem. These examples are of course not exhaustive and you may think of better ones I would love to hear about. Transform traditional services. The traveling experience is a good example of this transformation. Personal or professional travelers always need to go from A to B flying, riding cars or trains depending on the distance. They need to sleep, eat while they travel. The amount of apps and SW available has transformed the customers experience. Enterprises can better negotiate their rates while leaving options open to their employees. They optimize their administration costs by integrating travel expenses in their workflow. The individual traveler can plan at his/her fingertips. The innovation now lies in consolidating all options and with AI tailored the most appropriate for the travelers taking into account preferences and habits. Travel agents that remain offer personalized advice the new travel SW based on algorithms propose possible dream travels taking in sets of parameters. This mashable list of latest travel start-ups give an idea of the next steps in that business. Give access to new services or products. Businesses, consumers want to perform activities, have new needs that did not even exist couple of years ago or even a few months ago. The connected devices jump to mind with the array of consumer and business usage. Health conscious individuals monitor their physical activity or performance, health professionals expand their abilities to prevent and cure diseases. Thanks to remote access to medical consultations, patients in emerging countries will benefit from medical support whereas today cost, distance render it prohibitive. Education is another area opening up to larger parts of the world population. In food tech new generations of aliments are produced that also reflect changing eating behaviors and concerns to feed the planet (it is to be debated whether all humans will want to eat them in their current stage). The company beyond meat illustrates what technology combined with a disruptive approach can do. Equally, improvements in robotics open up new needs and usages from pet owners entertaining their favorite companions while away from home to industries creating safer operations. Interconnect people while adding information and value to each interaction. They belong to the platform category. The players of a platform hold interchangeable roles. You offer a service, product on a platform but simultaneously you can be a consumer, an influencer. A platform is different from the marketplace which fall into the category of transposing and optimizing existing exchanges with technology. Very often the definition of a platform is loose. The first category of the core builders most of the time use a platform to connect customers and suppliers. B2B e-commerce is currently one of the most ground breaking platforms enables retailers to have 24x7 world-wide stores with integrated payments and marketing support. Lazada is a great example in South East Asia changing the retailing world with its platform. It has changed the world of thousand of mom and pop shops converting them from a round the corner retail point to much larger e-commerce customers. Mutalism is the win/win status that both parties should achieve. Each party adds value to the other one. In commensalism one party prospers on the other party without impacting it negatively or positively. Parasitism is a non-mutual relationship between species, where one species, the parasite, benefits at the expense of the other, the host. Traditionally parasite primarily meant an organism visible to the naked eye, ..... one host to another. In this sense, the parasites in an ecosystem reflect the health of that system. The core builders when striking a relationship should always ask themselves if they enter a mutualism relationship. This question will also apply to early investors.